A secret conspiracy. A remote mountain. A race to save a terrified teen. Kate Miller has worked hard to carve out a secure job at the Mustang River Ranch. The horrors she faced leading a mountain rescue attempt have been firmly buried and now she's content guiding sedate trail rides and instructing children in basic survival skills. There's no room in her life for anything that could threaten her newly found peace. Former SEAL Jack Becker is hot enough to melt any woman's cool exterior. But his arrival coincides with the presence of a horse-loving teenager and her suspiciously well-armed bodyguards. Jack's mission is always his priority but despite simmering suspicions, his attraction to the beautiful guide becomes impossible to ignore. But someone with sinister intentions is closing in. 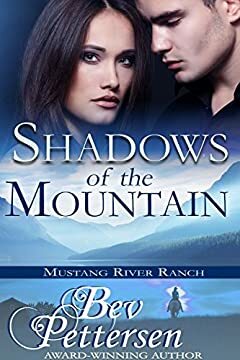 And when a simple trail ride to see the wild mustangs takes a shocking twist, both Kate and Jack will do whatever necessary to save the President's daughter. Can they save her and escape their enemies, or will any of them leave the mountain alive?